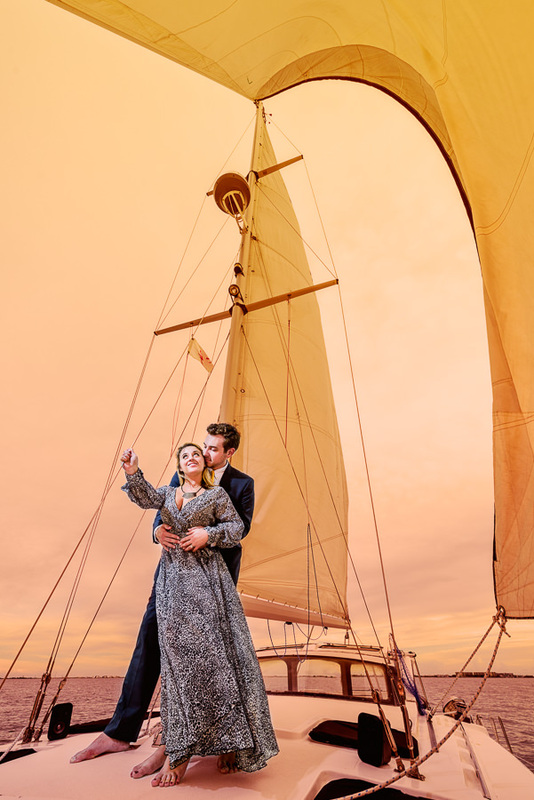 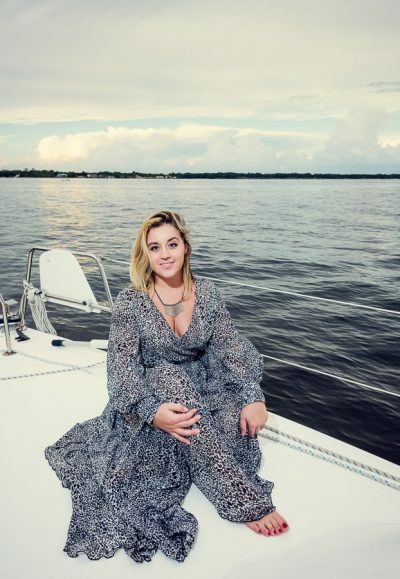 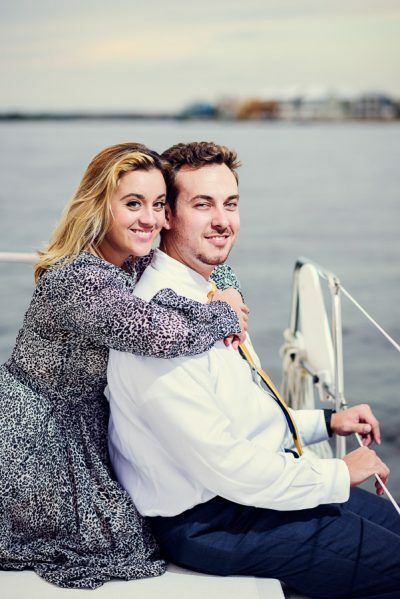 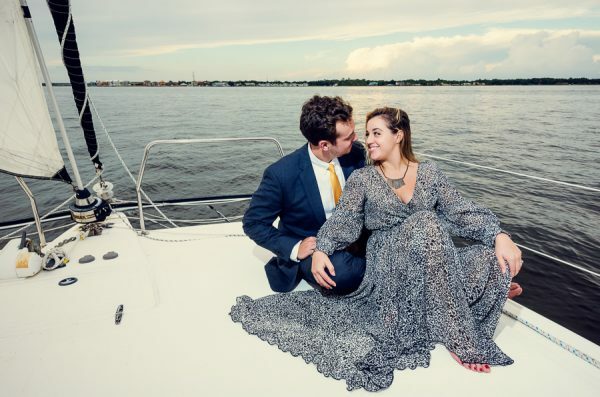 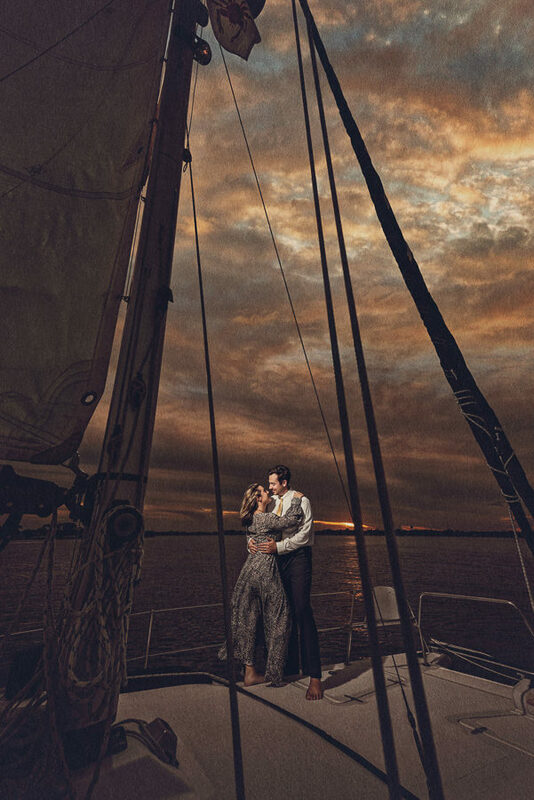 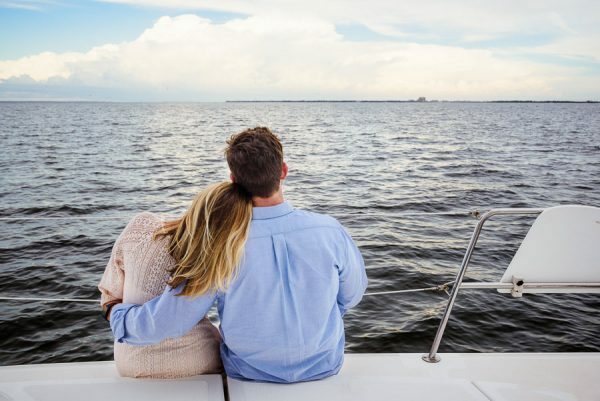 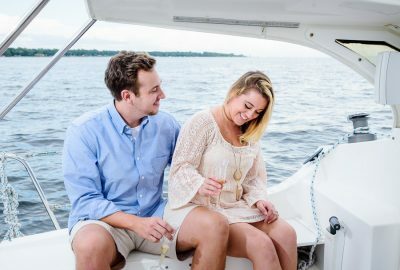 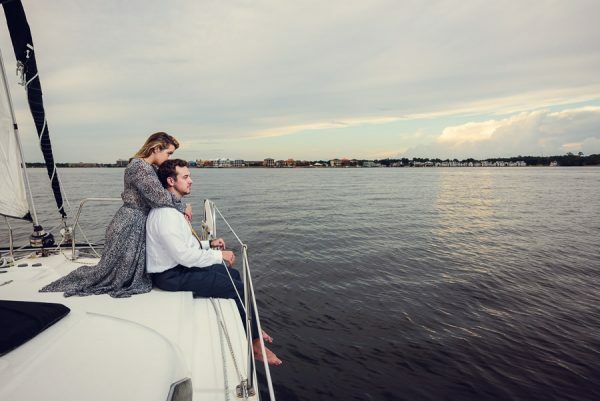 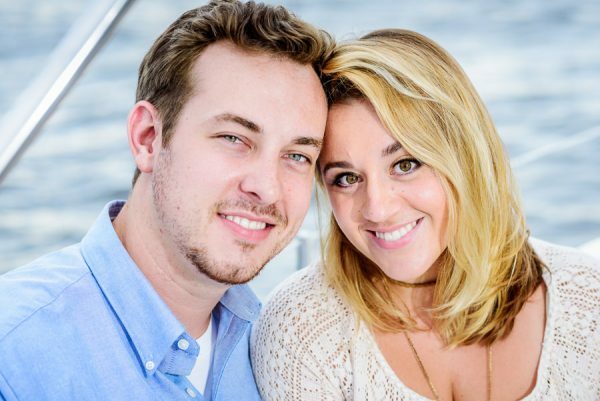 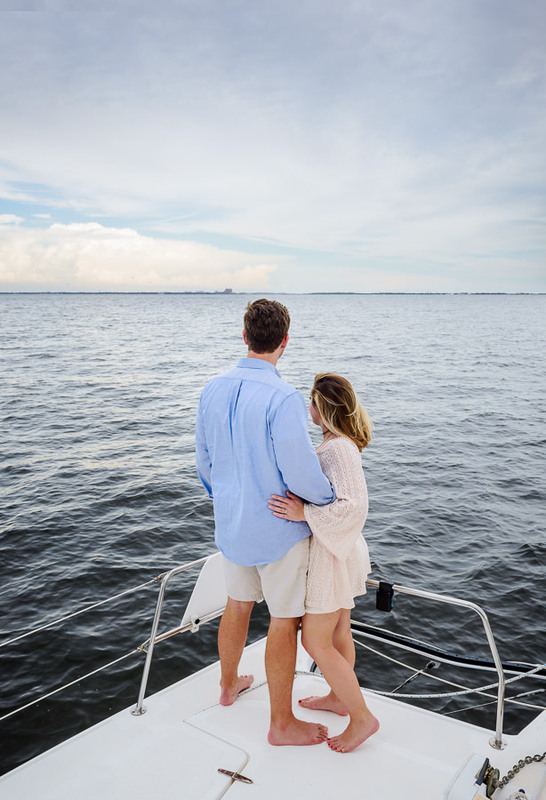 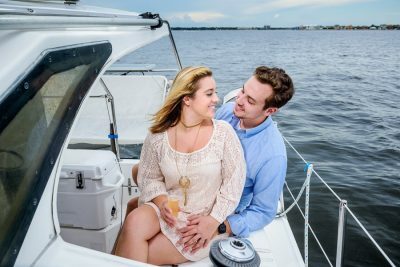 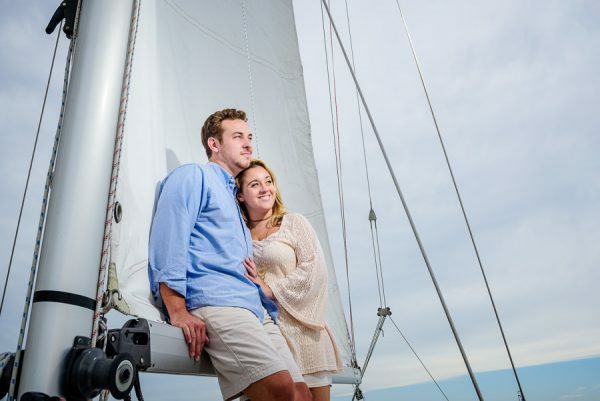 We had so much fun with Melanie and Zachary during their EPIC Pensacola sunset sailing photo session with Capt. 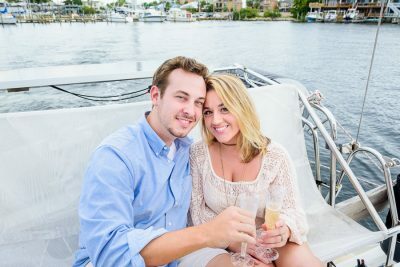 Karl from Spider Crab Charters. 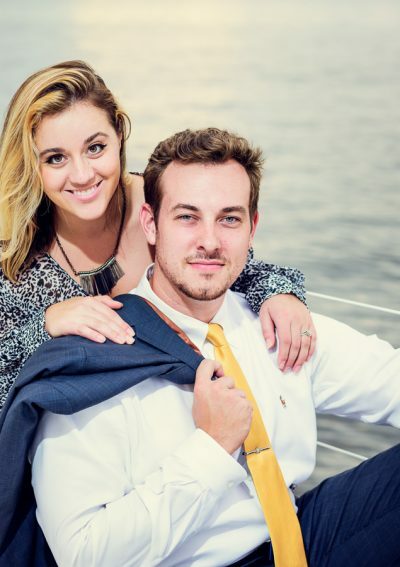 They are a fun, beautiful, and very smart pair. 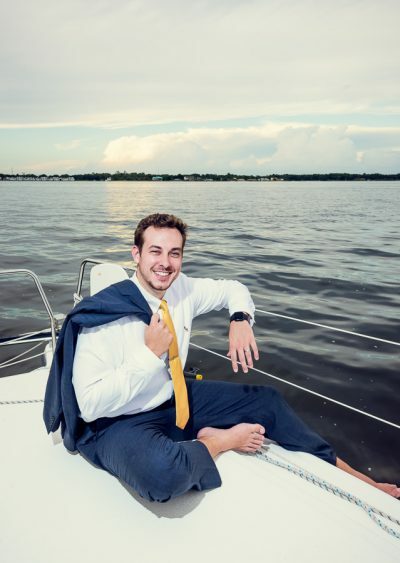 Zachary is a lawyer so he’s comfortable wearing a suit, but this was his first time wearing one on a boat! The couple enjoyed champagne on board while sailing and we were able to get some adorable candids, as well as some semi-posed and epic style images. 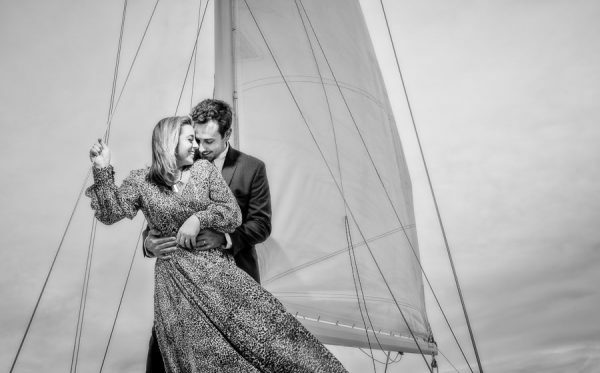 In between poses we gave the newlyweds plenty of time to enjoy the sailing in privacy. 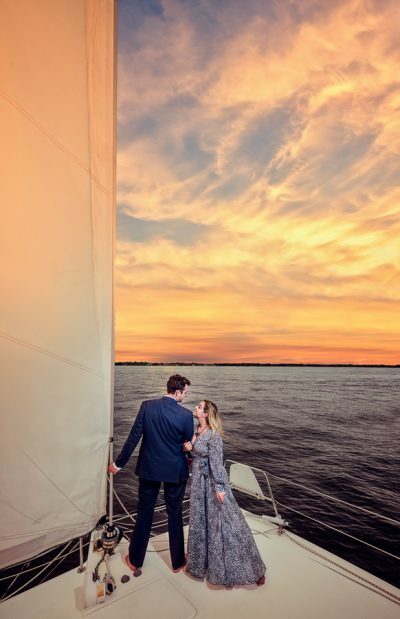 We are glad we could capture these memories for Melanie and Zachary and wish them all the love and happiness into the future!